Autumn is a wonderful season. While spring is celebrated as the colorful season, you cannot ignore the vibrant colors of the autumn. Even if yellow and orange are more associated with autumn, there are a lot many shades of red, blue and green appear in the autumn. Nature is often embellished with myriads of colors. 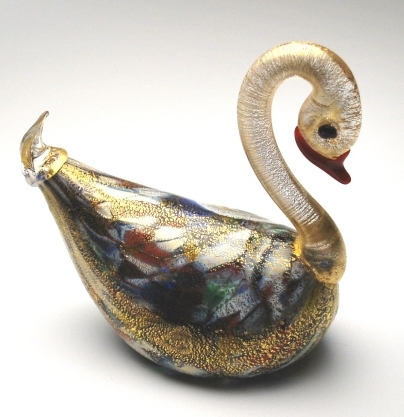 Murano artists are great aestheticists. They observe nature closely to enhance their work with the wonderful colors and images from nature. As a result, every category of their work reflects nature in all its glory. At 1001 shops, we have innumerable pieces that emulate the fabulous color schemes of the autumn season. 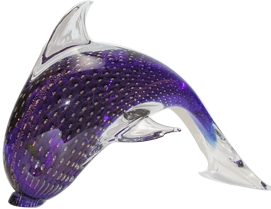 The wonderful murano Murrine glass vases and other objects that carry all the vibrant colors of the nature in autumn, often resemble the forests in the beginning of the autumn season. Different shades of all the colors in the spectrum are reflected in nature during the early au tumn; and so do our Murrine products. 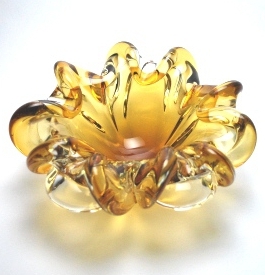 The magnificent golden hued Murano glass center pieces reflect the golden leaves that abound the fall season. When you have this center piece on your table, it brings the delicate golden hue that truly represents hope and richness. 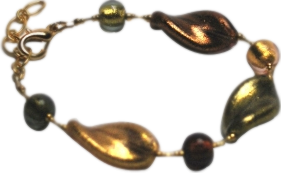 But our Murano center pieces are not restricted only to the golden color but extend to all the various colors of the autumn season. 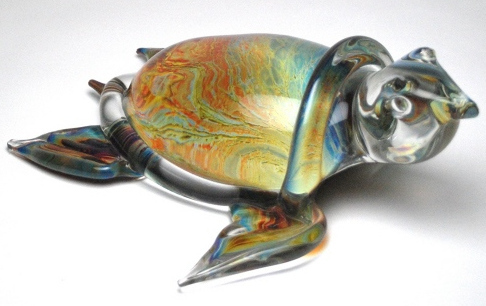 The Murano artists have seen to it that none of the magnificent shades are left out. 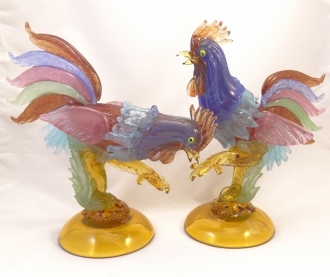 There are quite a few multicolored bird figures in 1001shops that echo the spectacular color scheme of autumn season. 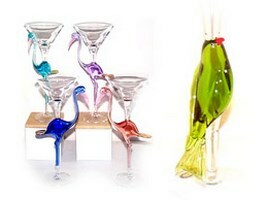 These fantastically real-looking bird figures are sure to increase the décor quotient of your homes. 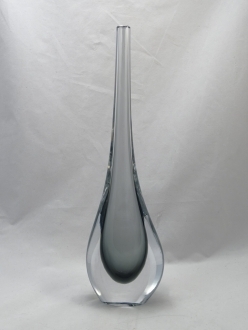 Our delicate but stunningly colored Martini glasses are yet another example of the Murano artists’ skillful craft and their incredible perception. 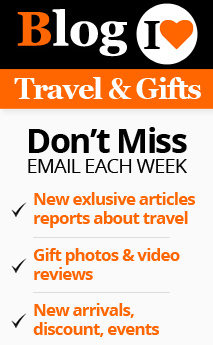 All the autumn colors are brought in by them while fashioning these articles. When you lay your party table with these beautiful products, you and your guests are sure to feel the magic of autumn season. Our inventory contains many nautical images that bear the merry colors of fall. The dark shades of blue, yellow and red will bring special vibrancy to your room. These sculptures are sure to enhance the elegance of your room. 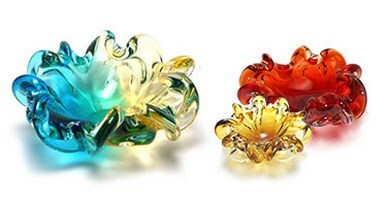 Murano glass artists are extremely perspective in their jewelry creation. 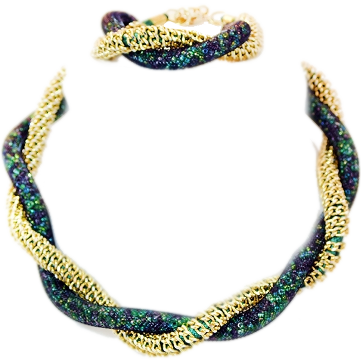 They make beads of every color in nature and combine them to replicate the color combinations found in natu re. This makes them extremely beautiful and unique. 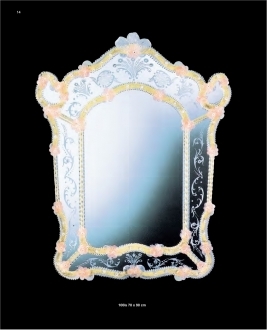 If you are desirous of identifying yourself with Mother Nature, you’d better browse through our murano products and select the items you require for decorating your home and your person. H: 7" W: 12" L: 20.5"
Height: 90 cm" Length: 70 cm"